Address and Last Date : The Controller of Administration, CSIR Madras Complex, Taramani, Chennai – 600 113 on or before July 29, 2013. 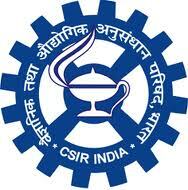 Application Fee : crossed Demand Draft for .100/- drawn in favour of CSIR Madras Complex, payable at Chennai. Salary : The total emoluments at the minimum of the scale at present is .31,230/- (approx) inclusive of allowances at Chennai.